Grassy fields and azure skies along the N1 in the Free State. The Free State is a province in the heart of South Africa, southwest of Johannesburg and bordering the Kingdom of Lesotho on its southeastern fringe. It’s a vast province of expansive fields, rugged mountains, historic towns and charming villages and can best be explored on a road trip. 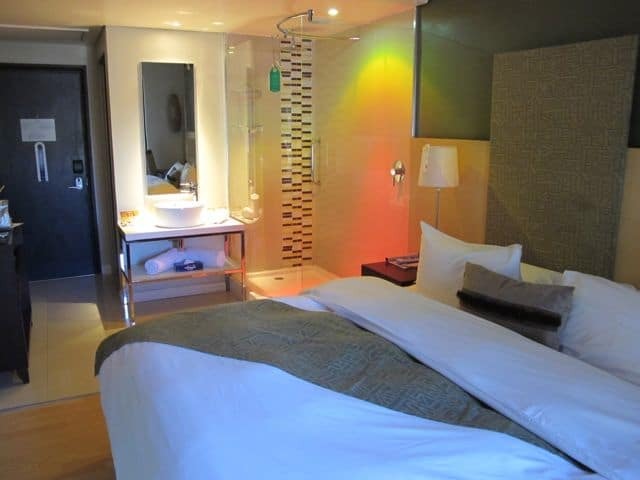 Its capital, Bloemfontein, lies on the main interstate Highway 1 that connects Cape Town and Johannesberg, and is well-known as an overnight stop for those driving between these two cities. Locally known as ‘Bloem’ (Bloom), the city is also widely known throughout South Africa as the ‘City of Roses’ due to the abundance of the flowers in the city and its annual rose festival. Flush with excitement from our wondrous safari at Pilanesberg National Reserve and our lovely stay in the town of Parys, we were happy to sit back in the van and watch the undulating landscapes unfold as we drove across the Free State towards Bloemfontein. I was gripped by the vast, open space; grassy fields that stretched into the horizon, punctuated only by the occasional tree, a farmer’s house or a windmill. The clear azure blue sky above us simply added to the majestic scenery. We arrived in Bloemfontein and quickly spotted the first rose bushes. We drove around the city, passing historic buildings like the beautiful Raadsaal (Judicial Hall) and the magnificent City Hall. I soon discovered that Bloemfontein is the judicial capital of South Africa – the country has three capitals: Cape Town is the legislative capital, Pretoria is the administrative capital and Bloemfontein, the judicial capital. Sounds confusing I know. Haha! 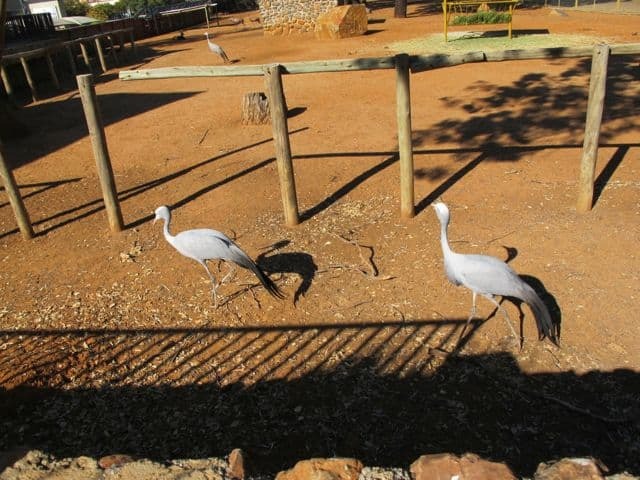 Bloemfontein has a variety of attractions including the province’s only Botanical Gardens, King’s Park (home to regular art markets), museums such as the National Museum and the Anglo Boer War Museum, the Franklin Nature Reserve (with its endemic wildlife species) and the Cheetah Experience (a must according to locals). Another must-do in Bloem is watching the sunset from atop Naval Hill. At this spot stands South Africa’s largest statue of Nelson Mandela. Memorial at the Anglo Boer War Museum in Bloemfontein. The largest statue of Nelson Mandela in South Africa stands atop Naval Hill in Bloemfontein. 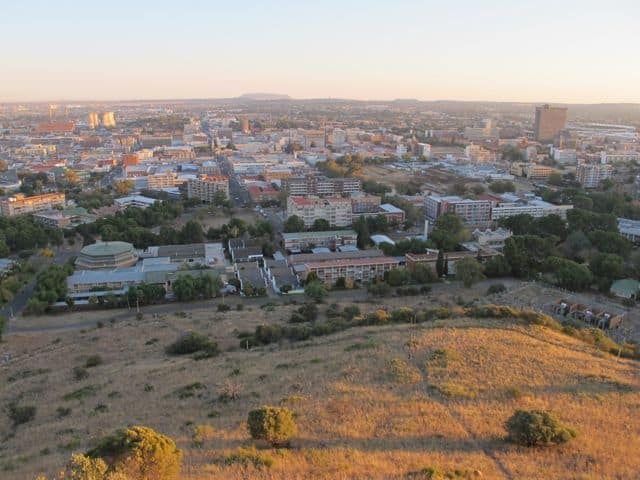 Bloemfontein seen from Naval Hill at sunset. My fave shot of the Nelson Mandela statue at sunset. That evening, we stayed at the luxurious Protea Hotel Willow Lake, uniquely located in the Bloemfontein Zoo! From the patio, we could see all sorts of animals roaming around. Very neat! That evening, after a lovely dinner at Seven on Kelner (a fabulous restaurant that serves South Africa specialties in a cosy atmosphere. I highly recommend it! 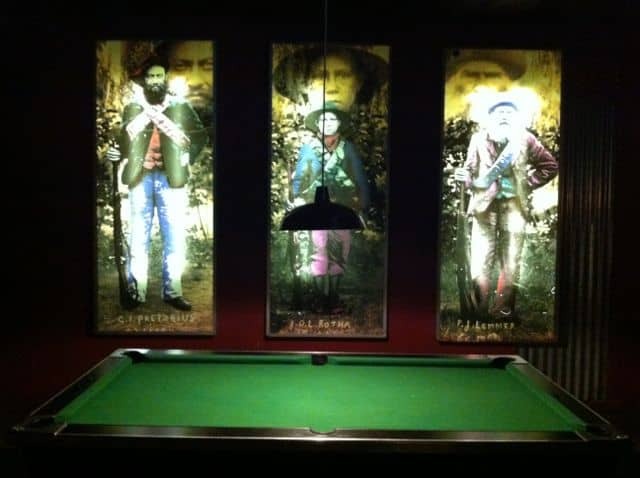 ), we continued to Bloem’s famous Mystic Boer pub where we mingled with the locals and played a few rounds of pool. 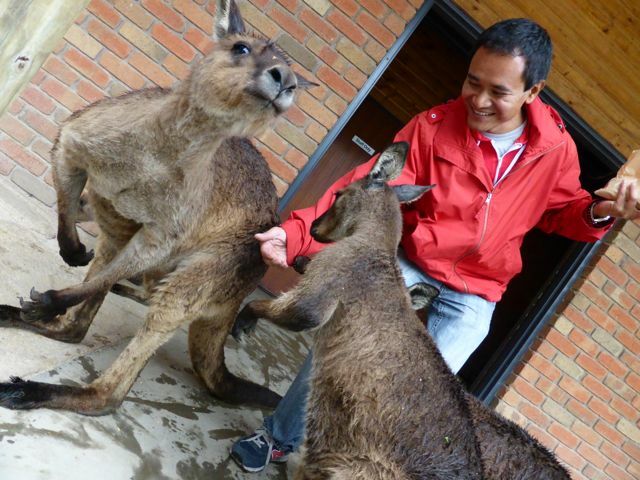 The locals were so friendly and welcoming, we felt right at home in an instant. My luxurious room at the Protea Hotel Willow Lake. These stunning birds walked by as I sat on the patio of the Protea Willow Lake. The next day, we left Bloemfontein behind us and drove in an easterly direction towards the Kingdom of Lesotho, a country within South Africa that’s famous for its ski resorts! As we neared the border with Lesotho, the undulating landscapes began to change gradually. In the distance, we could see chains of rugged mountains and massive rocky outcrops. The colours of the wheat fields against the backdrop of the ochre-coloured mountains and the intense blue sky were just phenomenal. 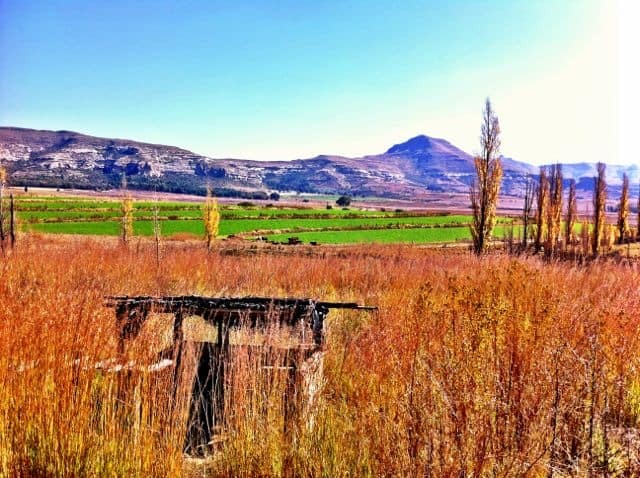 Gorgeous scenery on the road to Clarens. Along the way, we stopped at a typical South African ‘padstal’. 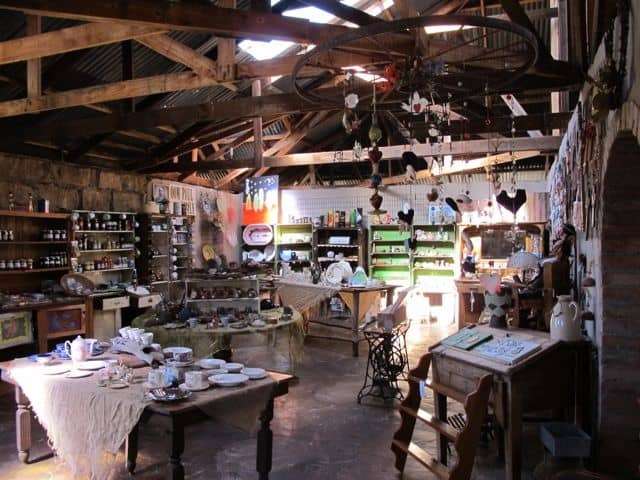 A padstal is a country store, normally located along a trunk road, that sells local organic produce, food, drinks and a host of locally-sourced items. It’s always worth stopping at a padstal as you never know what to expect! 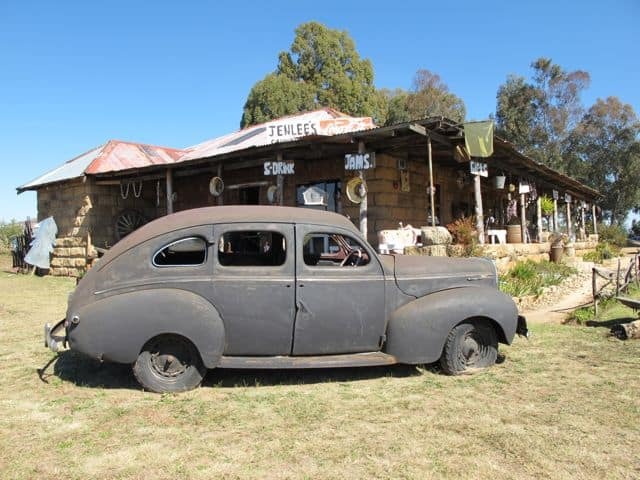 This one (along the R26) was called JenLee’s and it was the loveliest padstal I’ve ever been to in South Africa. The scent of freshly-baked cookies filled the air and the store was packed with all sorts of food and little trinkets. And….. we got to meet Einstein, the ‘mayor’ of JenLee’s! Inside the lovely Jenlee’s padstal. We continued our drive to Clarens, a picturesque town near the border with Lesotho and the gateway to the Golden Gate National Park. 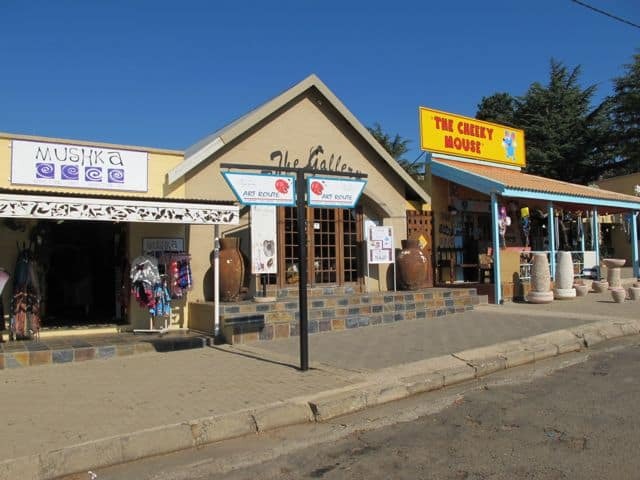 Clarens is a favourite getaway for many South Africans in the region who come here to hike or ski in the mountains, or to stroll around the many art and antique shops. 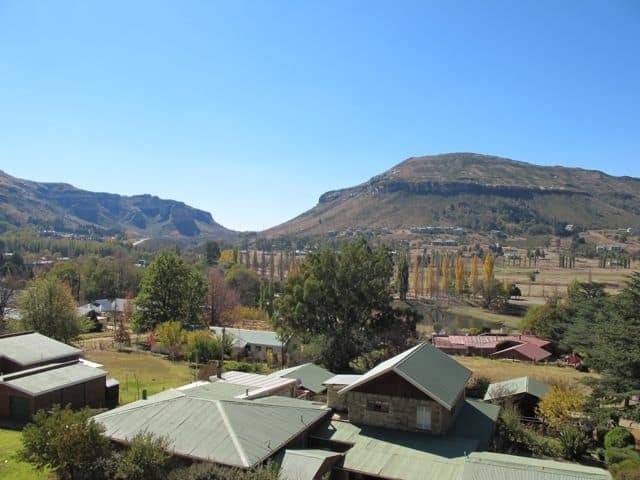 After checking into the Protea Hotel Clarens, we headed out into the mountains. The scenery was truly breathtaking. Huge canyons and ancient mountains awaited us around every corner. The view from my room at the Protea Hotel Clarens. 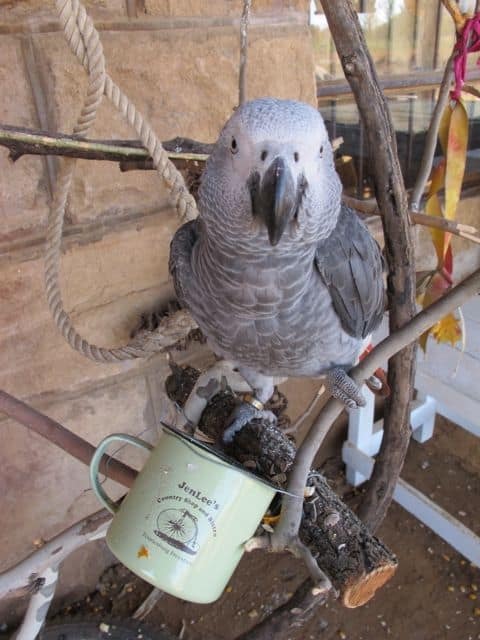 We pulled over at a little farm and were welcomed by the friendly staff of Bergwoning Adventures. 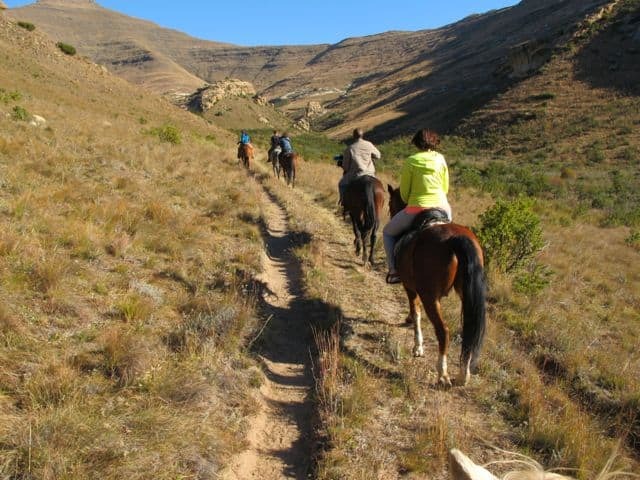 Bergwoning offers a variety of activities in the mountains including quad-biking, horse-riding, abseiling, mountain-biking and 4×4 trails. We went horse-riding and what an adventure that was! It took me a while to get acquainted with my horse (I called her ‘Lady’ for some weird reason) but once we were up on the mountain trails, I let my guard down and Lady showed me her country. The trail took us through thick brush, past clear streams and up along the mountain slopes. It was an absolutely bewitching experience! Up into the mountains on horseback. The stunning scenery during our horseback ride. That evening, we sat down for dinner at Clementine’s, a gorgeous restaurant in Clarens. 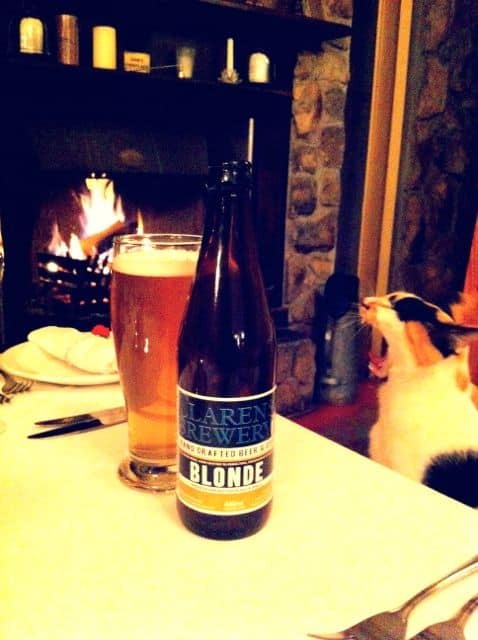 The fireplace crackled furiously as we drank the local beer and tucked into a seafood platter. The lady of the house, Clementine, joined us. We burst out laughing as she yawned – that’s exactly how we felt: tired but elated after another wondrous day in the Free State. We waved goodbye to Clarens the next day as we embarked on our last leg to Durban. We soon left the imposing mountains of the Golden Gate National Park behind us but the wonderful memories of this amazing road trip are etched in my memory forever. We left the majestic mountains behind us but took a lifetime of fabulous memories with us! Note: my trip to South Africa was part of the #MeetSouthAfrica project, a collaboration between the South Africa Tourism Board and iambassador. All views expressed above are mine, and mine only. Yay! Thanks for your lovely comment. 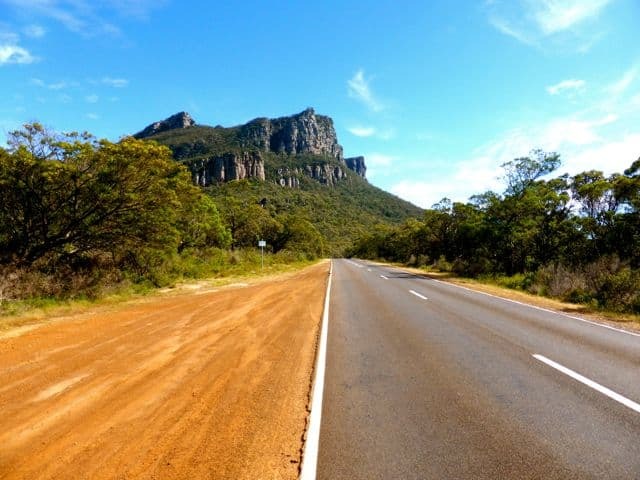 It’s a pretty off-the-beaten-path region with spectacular landscapes and you’re right, it’s so tranquil, just driving down those quiet roads and stopping at the odd padstal. Loved it! It’s a different part of South Africa. 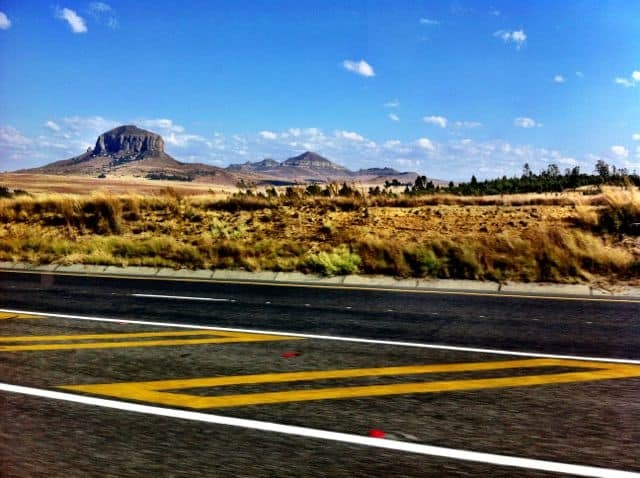 And it’s just lovely to drive through those quiet roads from Bloem, via Clarens over the Golden Gate pass. Great article! By the way, I also love your sunset photo of the Mandela statue!! 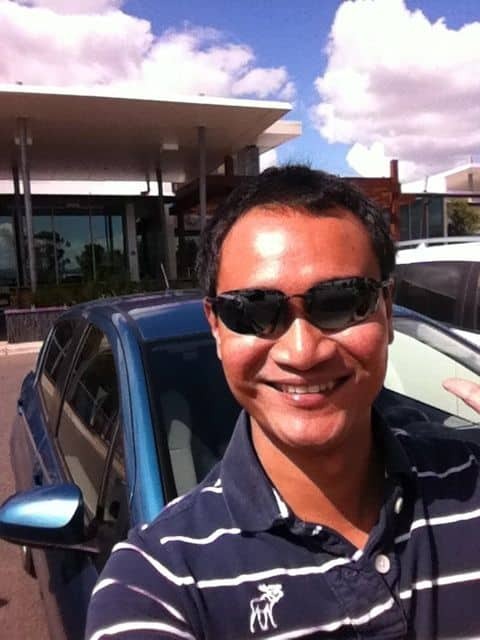 Thanks for sharing Keith! This definitely looks like a cool and unique place to visit. Haha I’d love to meet Einstein and go on a horseback ride through the mountains.